Leaks in the faucets can produce up to 200 gallons of wasted water per day, depending on the size of the leak. Because of this, Roto-Rooter prioritizes repairing these fixtures in homes and apartment complexes across California. Roto-Rooter is a plumber dedicated to helping our customers handle even the simplest plumbing service with care, consideration and ease, including faucet repair. Roto Rooter has been in the plumbing business for as long as we have because our skills and expertise make us trusted and highly recommended in the state of California. Leaks are commonly diagnosed with camera or vapor equipment which allows our specialists to identify the exact location of the leak and fix it accordingly. This equipment can be inserted directly into the pipes and drains through existing access points or by carefully removing plumbing fixtures without demolishing your residence or commercial building’s infrastructure. After we establish a clear and safe point of entry, our inspection of the drains and appliances in your home lasts for about half an hour, as we look for a variety of problems outside of visible leaks and cracks. By taking the time to identify potential problems early on, we can work to fix them all at once, saving you time and money in the long run by reducing the number of repairs needed. Once we find the leaks, we will use trenchless-based, eco-friendly technology to repair the leaks and restore your faucets back to proper functionality. Plumbing service ranges from the simple to the complex and faucet repair that seems simple can actually be a complex issue, which requires our technicians to carefully assess the situation before taking any steps to fix it. If the leaking in your California home’s faucet persists, call on a professional plumber that offers faucet repairs today. With our variety of tools and equipment readily available in our fully-stocked vans, we arrive on your property promptly and ensure that we will accurately diagnose and fix the problems. Within days, we can repair leaks and get your routine back to normal. Call Roto-Rooter To Fix Your Pipes Today! Count on Roto-Rooter to provide you with help in all areas of plumbing, including septic repair, drain cleaning, toilet repair, sewer line repair, water heater repair, and faucet repairs for all of your emergency situations. 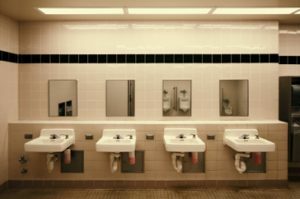 Our faucet repairs can be relied on in apartment complexes, condominiums, household, flats, suites, hotels, university dormitories, and many other residential facilities across California. Our services extend throughout the state of California, including Ventura, Thousand Oaks, Simi Valley, Santa Paula, Camarillo, and more. Don’t get so used to the dripping faucet that you ignore it. 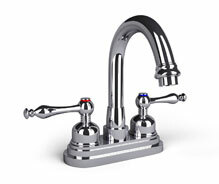 Schedule an appointment to have your faucets repaired today!